Police investigate ‘suspicious incident’ involving jogger on trail near U.Md. The student told police that she was running along the Paint Branch Trail when a man wearing dark clothes with a black backpack suddenly “advanced toward her.” The student said she was able to deflect his advance and run away, while the man was last seen running into the woods. 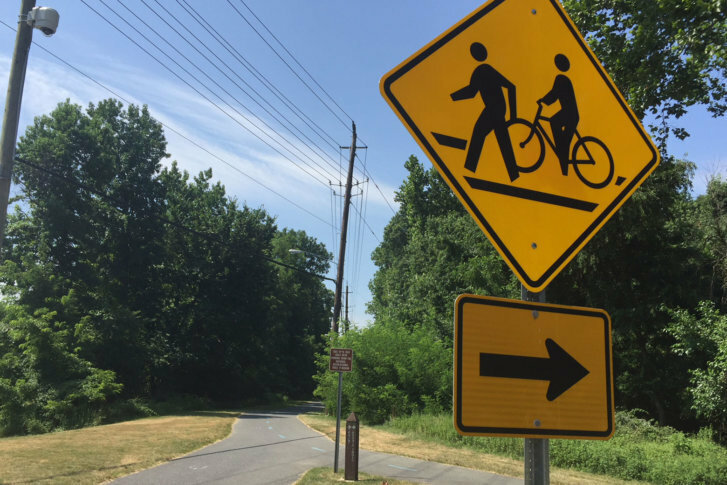 WASHINGTON — A University of Maryland student jogging along a popular off-campus trail near the University of Maryland says she was approached by a strange man. In an alert sent to students, University of Maryland Police said the student told police that she was running along the Paint Branch Trail when a man wearing dark clothes with a black backpack suddenly “advanced toward her.” The student said she was able to deflect his advance and run away, while the man was last seen running into the woods. University police said it happened just before 7 p.m. on July 10. The nearest intersection was the corner of Rhode Island and Pierce avenues, which is where the trail separates from a residential street and runs south toward Campus Drive. Maryland-National Capital Park Police are investigating what they described as a “suspicious incident,” since there’s no evidence yet that a crime actually occurred. However, there are cameras along the trail in part because similar incidents like this have happened before. Police said they are reviewing footage that may have captured anything suspicious.